These are attractive, real wine labels that can be customized with your own name or with someone else’s name as the perfectly unique gift, souvenir, award, or keepsake. Whatever the occasion, there’s a fitting wine that can add a layer of enjoyment, and friends, family, and associates will delight in seeing their name, their event, or even their business immortalized for a keepsake or as the center of a toast. *We will be adding our personalized & custom labels to our website. Please continue to check back! Visit us in store to see the full collection. 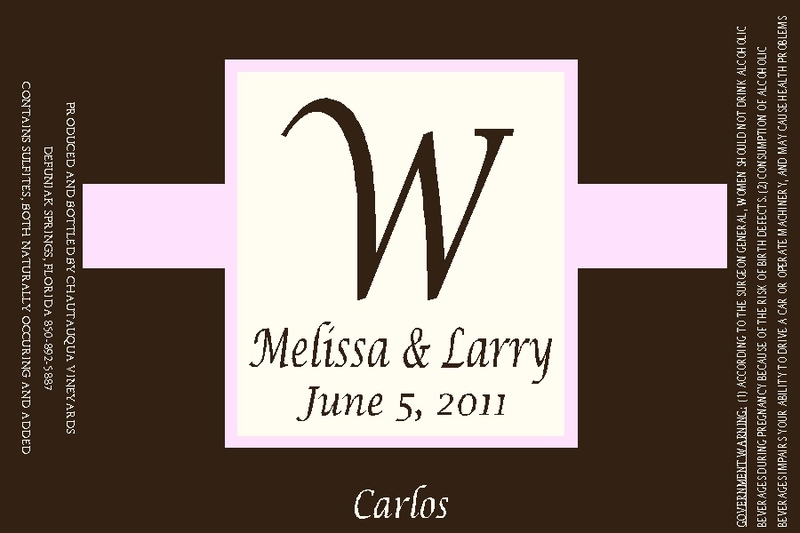 Custom labels are used when someone would like their very own picture added to the label. Business owners use their logos for advertising and giveaways to help promote their brand. Engagement pictures are very popular to use as 'save the date,' thank you gifts, and table centerpieces. The uses are endless. If you are interested in letting us design your label for you, send us an email with your request and photo.